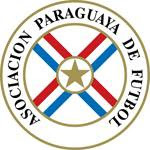 The Paraguay national football team is the national team of Paraguay and is controlled by the Asociación Paraguaya de Fútbol. The Paraguay national football team has reached the second round of the World Cup on three occasions (in 1986, 1998 and 2002) but has never advanced beyond that stage. Paraguay's only major tournament victories have come in the Copa América, in which they triumphed in 1953 and 1979. They also won a silver medal in the football tournament at the Athens 2004 Olympic Games, being defeated 1-0 by Argentina in the final. In 1930 Paraguay participated in the first World Cup, organized by Uruguay. In the first round, Paraguay debuted and lost to the United States (0-3), to then defeat Belgium (1-0) with a goal by Luis Vargas Peña. Only one team was to advance from the group stage, and the U.S. left Paraguay behind. The return to the World Cup was in 1950, where Paraguay faced Sweden and Italy in Group 3. Paraguay failed to advance to the next round after a 2-2 draw against Sweden and a 2-0 loss against Italy. For the 1958 World Cup, Paraguay surprisingly qualified ahead of Uruguay (beating them 5-0 in the decisive game) with a team that contained a formidable attacking lineup with stars such as Juan Bautista Agüero, José Parodi, Juan Romero, Cayetano Ré and Florencio Amarilla. In their first game in Sweden, Paraguay were 3-2 up against France in a game they lost 7-3. A 3-2 win over Scotland and a 3-3 draw with Yugoslavia saw Paraguay finish third in their group. Paraguay ended a 28-year absence from the World Cup in 1986 with a team starring Roberto Fernández in goal; Cesar Zavala, Rogelio Delgado and Juan Bautista Torales in defense; Jorge Amado Nunes and Vladimiro Schettina in midfield; midfield playmaker Romerito and strikers Roberto Cabañas, Ramon Angel Maria Hicks and Rolando Chilavert (older brother of José Luis Chilavert). In first round matches, Paraguay defeated Iraq (1-0, goal Romerito) and then tied Mexico (1-1, goal Romerito) and Belgium (2-2, both goals Roberto Cabañas). They reached the second round where they were beaten 3-0 by England. This new generation of players helped end the World Cup drought in grand fashion, as the Albirroja reached the France 1998 World Cup by qualifying in second place in South America behind Argentina. The first round matches were against Bulgaria (0-0), Spain (0-0), and Nigeria (3-1; goals Celso Ayala, Miguel Ángel Benítez and José Cardozo). Paraguay qualified to the second round (Round of 16) to be defeated in a thrilling match against would-be World Champions France. France only scored through Laurent Blanc in the 114th minute, during the second half of overtime (making it the first golden goal scored in a World Cup). Paraguay's central defending duo (Carlos Gamarra and Celso Ayala) and goalkeeper José Luis Chilavert were selected for the all-star World Cup team. Paraguay returned to the World’s greatest stage once more in the 2002 World Cup. In their first match, Paraguay tied South Africa 2-2 (goals: Roque Santa Cruz and Francisco Arce). Paraguay lost to Spain in the second game (1-3) and finally defeated Slovenia (3-1; goals Nelson Cuevas, twice, and Jorge Luis Campos) to qualify for the second round. Germany ended Paraguay’s dreams in the World Cup with an 88 minute goal. In 2006, Paraguay qualified for its third World Cup in a row. This time, two early defeats against England and Sweden (both 0-1) sent the team home early. The only consolation was defeating Trinidad and Tobago during the last and final group game by 2-0. The renovated squad created quite a stir by reaching first place in the CONMEBOL qualifiers, and becoming the second CONMEBOL team to qualify for the 2010 FIFA World Cup, ahead of continental powers Argentina, Colombia, and Chile. Paraguay defeated Brazil at home (2-0), defeated Chile and Colombia away (0-3 and 0-1), and tied Argentina in the mythical Monumental Stadium in Buenos Aires. Key players have been Justo Villar in goal, Claudio Morel, Paulo Da Silva, Julio C. Caceres in defense, Edgar Barreto, Jonathan Santana, Enrique Vera and Christian Riveros in midfield, and Roque Santa Cruz, Salvador Cabañas and Nelson Haedo Valdez up front. Qualification was secured with a 1-0 win over Diego Maradona's Argentina on 9 September 2009.